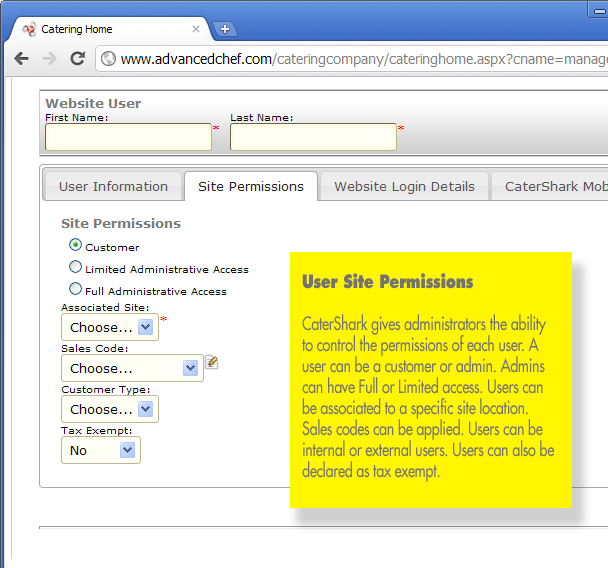 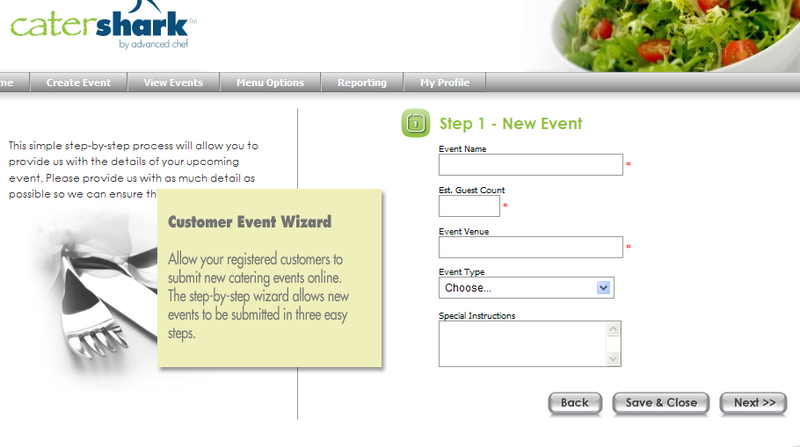 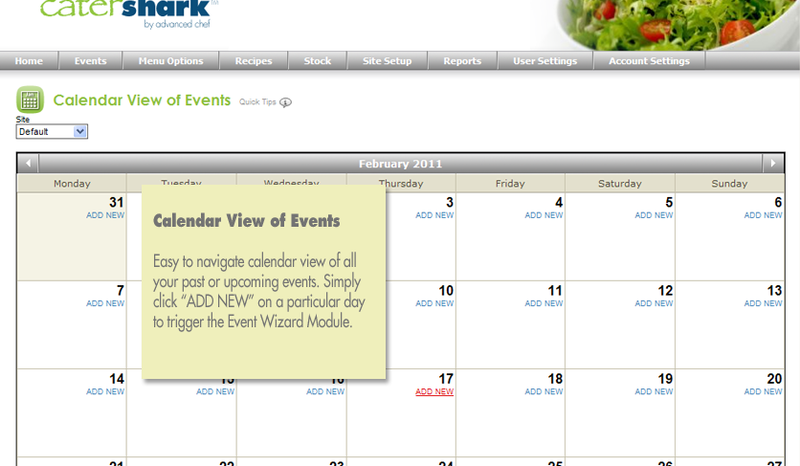 The CaterShark Event Wizard allows your customers to easily submit and maintain new events online. 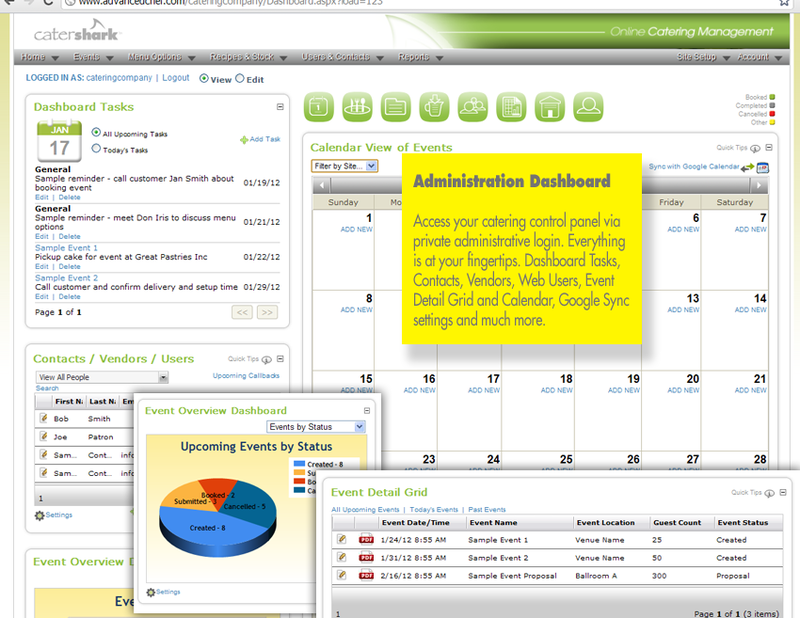 Admin can also submit events on behalf of customers. 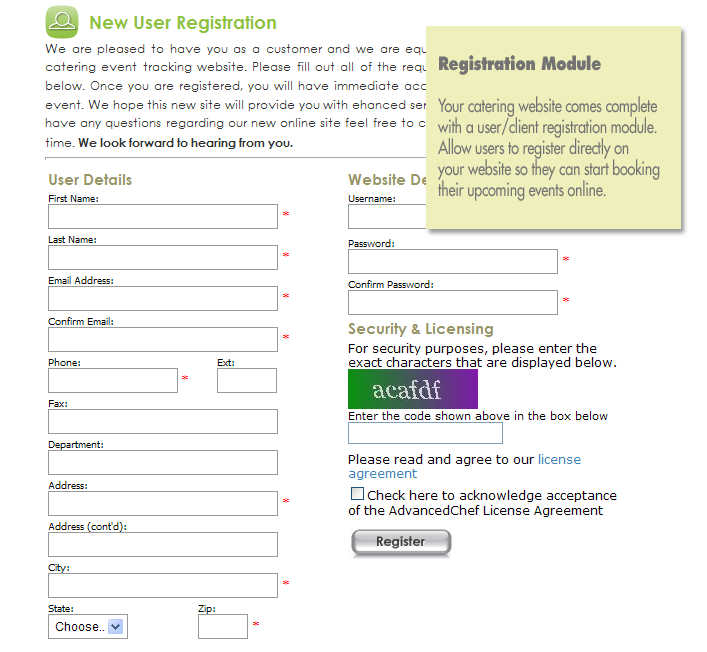 Allow users to register directly on your website so they can start booking their upcoming events online. 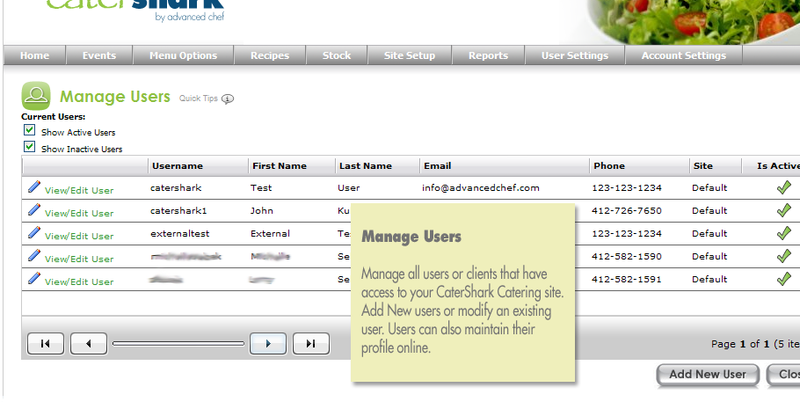 CaterShark allows you to import or individually add stock to your database. 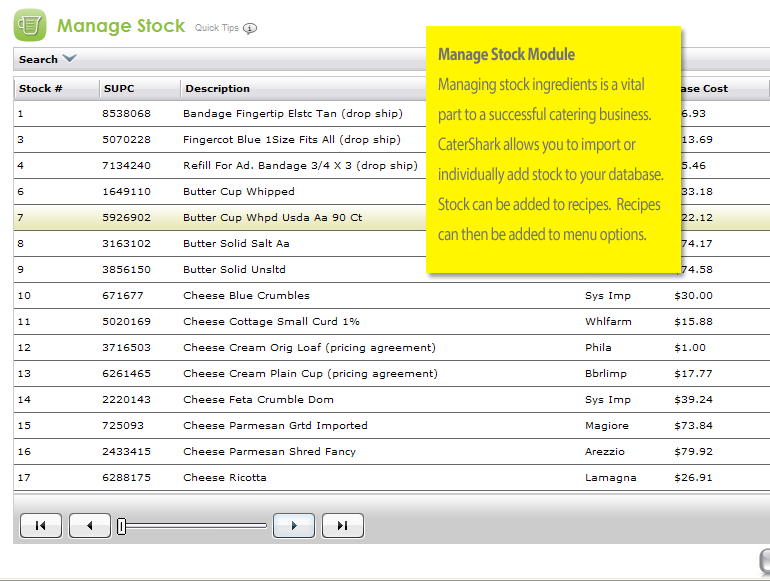 Stock can be added to recipes. 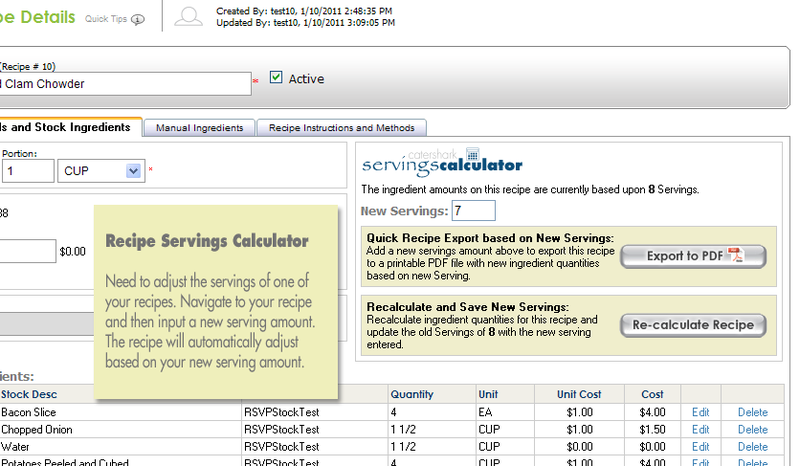 Recipes can then be added to menu options. 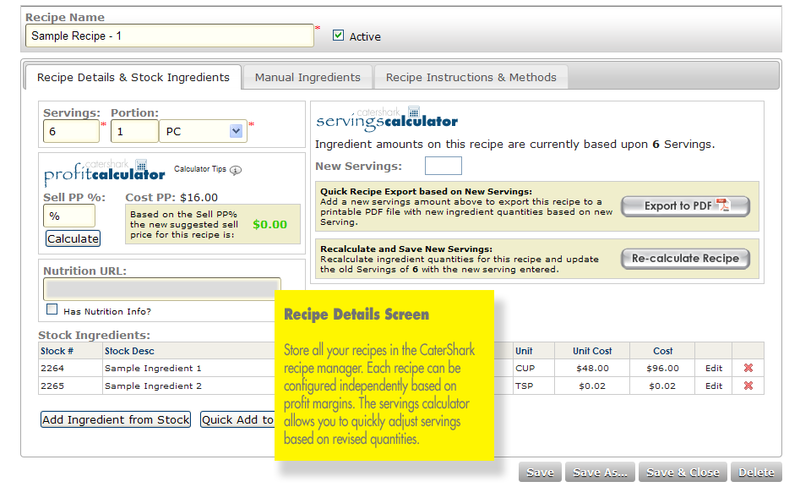 Does your food service distributor provide .csv files of your stock? 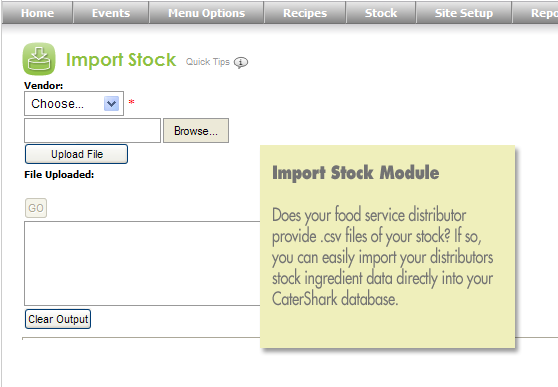 If so, you can easily import your distributors stock ingredient data directly into your CaterShark database. 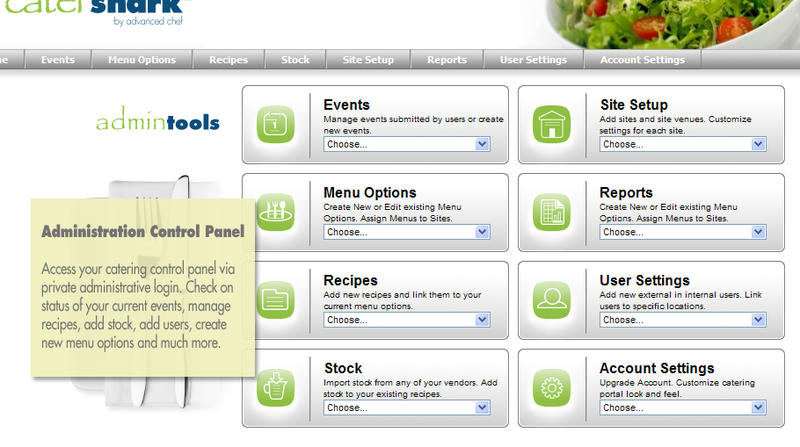 Maintain all menu options in one location. 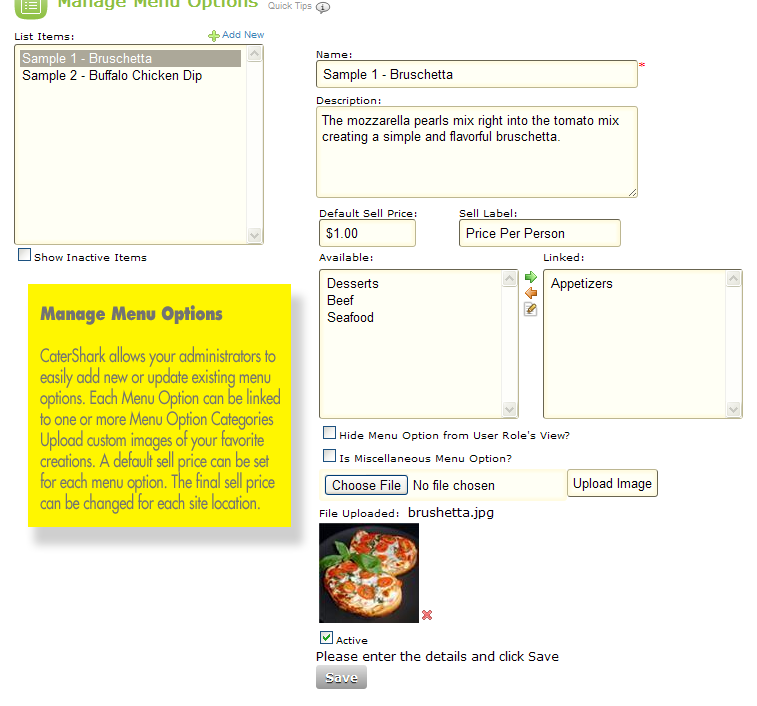 You decide the menu options available per client or site location.